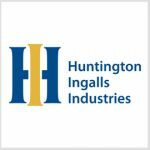 Huntington Ingalls Industries (NYSE: HII) has officially launched its new government services business segment upon the completion of the Newport News, Virginia-based military shipbuilder’s $380 million purchase of Camber Corp. announced in November. Huntington Ingalls said Friday the segment will operate under the name of HII Technical Solutions and offer professional services to government and commercial customers worldwide as Camber joins the division alongside at least six other subsidiaries: AMSEC, Continental Maritime of San Diego, Newport News Industrial, SN3, Undersea Solutions Group and UniversalPegasus International. HII, the U.S.’ largest military ship constructor, expects the services segment to record $1 billion in revenue for 2017 with forecasts for low-single digit growth in that year and 5-7 percent by 2020. HII Technical Solutions’ work will encompass agile software development, network engineering, training systems, logistics services, information technology, fleet maintenance and modernization, unmanned undersea systems, nuclear engineering, fabrication and oil and gas engineering. Huntington Ingalls moved to acquire Camber in a continuation of the parent company’s “Path to 2020” strategy that emphasized expansion of government services offerings as complementary to longer-cycle ship construction contracts. “We now have the scale to focus on that business in a way that allows for the pace to keep up with what is required in services. 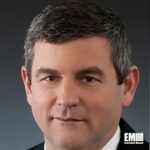 We think it’s a reasonable approach to expand our customer set and create access for capabilities on the high-end of services in a way that makes sense for us, ” HII CEO Mike Petters told investors a day after the deal’s announcement. Andy Green, former corporate vice president of corporate development at Huntington Ingalls, will lead the HII Technical Solutions business as president and also add an executive VP title for the parent company with direct reporting to Petters. Green’s five-year career at HII also includes roles such as corporate VP of investor relations VP of component manufacturing at Newport News Shipbuilding.